Our Committee breakout centered around how to have an effective, high-functioning troop committee, and we talked a bit about what we meant by “effective”. After discussing the roles of a troop committee – equipment, finances, selecting leadership, set and interpret policies – I asked people to see if there was a way to summarize the role of the committee. 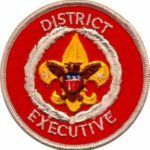 The bottom line is that the committee supports the Scoutmaster, and the Scoutmaster’s #1 job is training the youth leaders to run their troop. We talked about various ways that the committee can be high-functioning. Responses included having accountable, responsible and committed committee members, having open communication and trust, a clear understanding of the mission, and a willingness to help others on the committee. This becomes of significance when supporting the Scoutmaster to help the boys become a high-functioning team, as the boys will hopefully see that the adults are setting the example. We also felt it was important that the committee encourage and support the Scoutmaster in conducting training for the youth leaders, starting with setting the expectation that the youth will be trained. The committee can assist by securing the location, providing resources and contacts, serving on staff, and otherwise facilitating the mechanics so the Scoutmaster can focus on content. Our session was far too short, as usual, but that gives us plenty to pick up on next time.